Father Ben was a speaker at a major conference in London on Tuesday, April 10, organized by the Danube Institute. Among the speakers were some of the leading figures in the UK and Hungary working to help the Persecuted. Picture of Lord David Alton speaking at the event here. 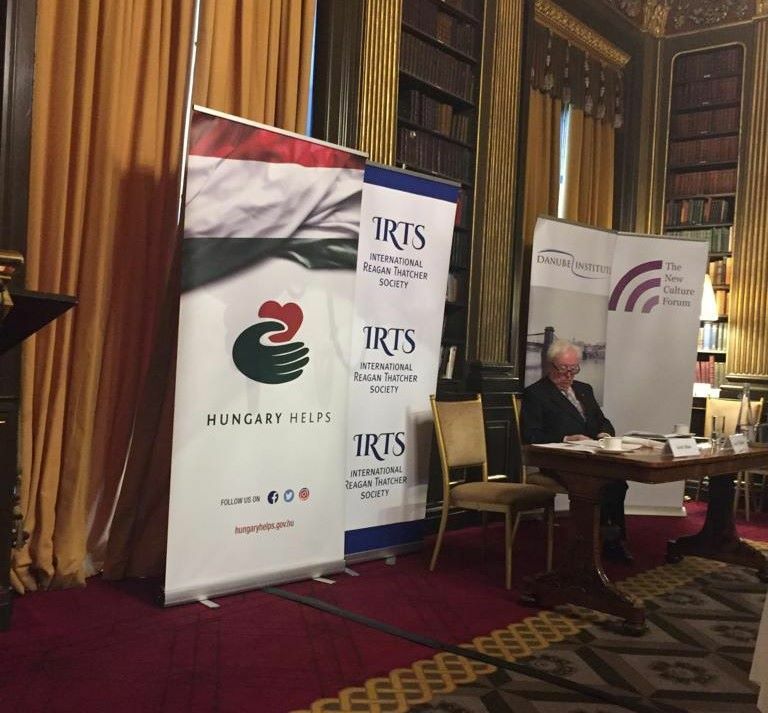 Picture above: John O’Sullivan, former advisor to Margaret Thatcher and President of the Danube Institute, at the event in London - working together with the Hungarian government to help persecuted Christians.